"There is no doubt there is a growing unease and concern among many people…around the issue of immigration. Our view is very simple, there needs to be sustainable levels of immigration in this country, it needs to be managed. There needs to be some link between the capacity of the country and the numbers of people coming in. If there's not, there's going to be hardship for indigenous and newcomers alike." These views on immigration were stated by the leader of a political party last weekend. You might be forgiven for thinking that the source was Nigel Farage, of the new Brexit party in the UK; or Matteo Salvini, of Italy's far right Lega Nord; or Marine Le Pen, of the National Rally (formerly the National Front) in France; or Geert Wilders, of the Party of Freedom, in the Netherlands. These individuals have all been to the forefront of the immigration debate in their respective countries, both responding to, and exploiting, the wave of anti-immigrant sentiment that has swept across the European continent. But these words were not uttered on foreign soil. 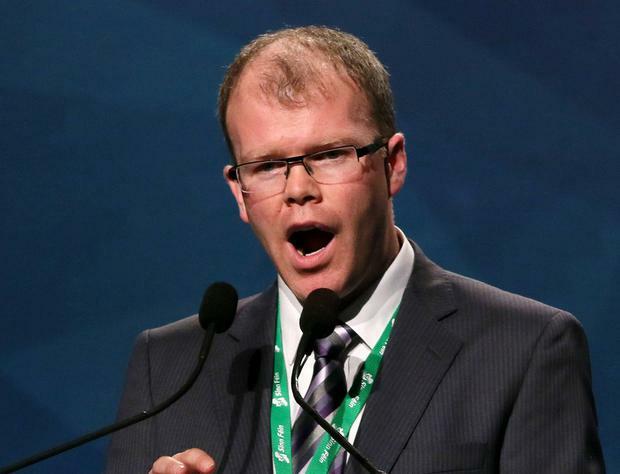 They were spoken by Peadar Toibin, leader of Aontu, Ireland's newest political party, at its national launch in Dublin. Since the outbreak of the current wave of populism lapping Europe's shores, Ireland has stood alone as one of the few European states to resist its advances. Right-wing populist parties have emerged in most European countries, not just in those with a history of xenophobia and extremism, but even in the more traditionally liberal Dutch and Scandinavian societies. Although Ireland has historically had a more conservative (and at times authoritarian) political culture than many of its European counterparts, there remains no competitive right-wing populist party in the Irish political system. The few movements fitting this profile, such as Immigration Control Platform and Identity Ireland, can be described at best as fringe, or, more realistically, irrelevant. When populism began to spread across Europe in the late 1990s and 2000s, the reasons given for its absence in Ireland included the lack of immigration into the country and the relatively benign financial conditions. The first obstacle changed with the expansion of the EU, as workers arrived from central and eastern Europe. The second obstacle disappeared once the crash happened. Perfect conditions, you would have thought, for the emergence of a right-wing populist party, with the new presence of an easy scapegoat for fewer employment opportunities. According to the last census, there are now more than 500,000 non-Irish citizens living in Ireland, drawn from more than 200 nations. While to some this might seem a large figure, it represents just 15pc of the population, a relatively low proportion compared to the equivalent figures in other European countries. But this hasn't prevented a change in our opinion of immigration. A report on attitudes to diversity in Ireland by the Economic and Social Research Institute (ESRI) in 2018 found that Ireland's image of a 'Cead Mile Failte' country is not quite the reality. In general, Irish attitudes to immigration were fairly positive during the Celtic Tiger years; they dipped considerably during the recession, but have not returned to pre-bust levels. The ESRI report, using data from a cross-European survey, found that in 2002, 80pc in Ireland were in favour of immigrants of the same race or ethnicity coming to this country. This fell to below 60pc in 2010 in the middle of the crash, and remained this low even as the economy began to recover. Likewise, in 2002, 65pc were in favour of members of a different ethnicity coming to Ireland, but this too fell to 52pc in 2010, and has fallen further since. This pattern of a declining level of tolerance to the admission of immigrants goes against the trend experienced elsewhere in western Europe, where the pattern has been of an increasing tolerance to immigration. So, while in 2002 the Irish figures in favour of immigration of either same or different races were more than 10 percentage points ahead of the European average, we have now gone in the opposite direction and fallen 10 points behind our European neighbours. Strikingly, these differences are particularly pronounced for two minorities that have been the subject of xenophobic and racist treatment across Europe - Muslims and Roma gypsies. Only 40pc in Ireland believe that Muslims should be allowed to come and live here, while only 25pc are in favour of members of the Roma community moving to Ireland. These figures are significantly behind the comparative European average, at 54 and 44pc respectively (from a sample of 10 western European countries). For example, in Sweden 80pc were in favour of allowing in both these minorities. The Cead Mile Failte, it seems, does not extend to all. Given these growing negative attitudes towards immigration in Ireland, it seems reasonable to wonder why an anti-immigrant populist party hasn't emerged here yet. It's not as if the Irish electorate doesn't want a new party. In opinion polls leading up to the last election, one in two voters regularly stated that they were in favour of a new challenger to the status quo. But not necessarily in the guise that they emerged. The two new parties to contest the last election, the Social Democrats and Renua, both struggled to make an electoral impact. Despite all the media attention afforded to the latter, Renua didn't win a single seat, as it failed to shake off its anti-abortion image. So, our appetite for a new party hasn't been satiated. Is Aontu the answer? One immediate problem for the party is that its origins are quite similar to Renua, being founded by a TD not acquiescing to his party's pro-abortion position. And we know what happened to that party. Surely Peadar Toibin has learned something from the experience of Lucinda Creighton and does not want Aontu to be Renua 2.0? Is this why he has moved the party from abortion to immigration? Toibin's former colleagues in Sinn Fein certainly think so. The Donegal TD Pearse Doherty said of Toibin: "He never expressed any of those sentiments when he was a member of Sinn Fein. He is seeing the rise of this across Europe and some of it was being expressed in our presidential election. He is no fool. He knew exactly what he was doing." If what Doherty says is true, is Toibin's strategy the correct one? Is immigration the answer to avoiding Renua's fate? As an issue, immigration has occasionally flared up during election contests, such as over the 2004 citizenship referendum, or at last year's presidential election. But the plain truth is that ideology, for better or worse, does not decide Irish elections, and neither do single-issue campaigns, no matter how important they might seem. Irish electoral history is littered with examples of the glorious failures of ideological parties and single-issue campaigns, from Kevin Boland's Aontacht Eireann in the 1970s, to the pro-life candidates in the 1990s. As an electorate, we might occasionally like to embrace single issues during referendum campaigns, or when promoted by the occasional independent. But history shows that we tend to reject parties or politicians that go down this path. And there's little reason to suspect anything has changed. So, while Peadar Toibin and Aontu may think they are on to something by courting our increasingly ambivalent attitudes to immigration, experience would suggest otherwise. As a nation we may be embracing some of the xenophobic attitudes towards immigrants seen more explicitly in other European countries, but, perhaps paradoxically, we don't want our political parties to do so. Dr Liam Weeks is director of the MSc Government & Politics at University College Cork.